Chiku is a new self-standing bookshelf from Italian manufacturer Porro, which combines good capacity with a captivating and fun design. 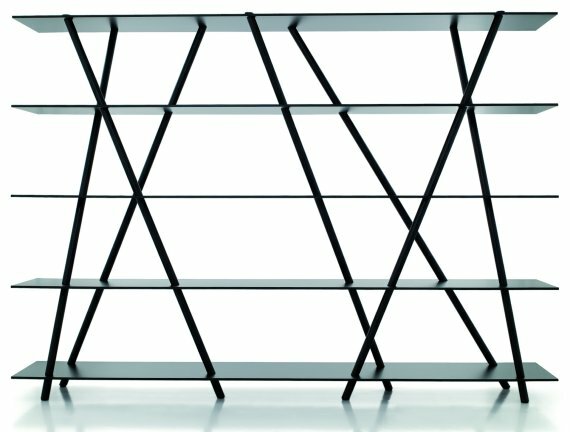 Five slim black shelves are connected by seven black painted metal poles, hovering in space to challenge gravity. Visit the Porro website – here.